Congrats to Heather Macey. She is the winner of our first Google-Proof Movie Monday. Another one is coming up in just two short days. For now, here is this week's answer. The first movie is Batman Returns with Liam Neeson. The second movie is Die Hard With A Vengeance with Samuel Leroy Jackson. Movie number three was a tough one (It's an underrated movie and the picture we provided was an out-of-focus action scene). It is John Carter featuring Dominic West. The fourth movie is Leon: The Professional starring Natalie Portman. The fifth movie is X-Men with Ray Park. 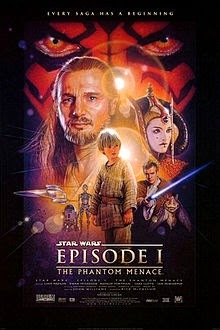 Each of those actors was in The Phantom Menace. Congrats again to Heather. Good luck to all in the next Movie Monday!